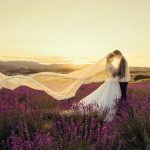 “Nobody hires a wedding photographer for their equipment.” The writer at Recomn.com couldn’t have said it any better because really, every couple who are ready to walk down the aisle gets to do that once in a lifetime. 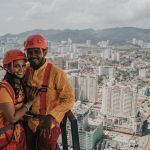 And wedding photographs are the only way for them to relive those important moments on such a special occasion, over and over again for many years to come. 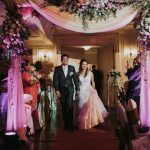 Therefore, it is very important that couples hire a wedding photographer for their skill and technique because regardless of how hi-tech the cameras or lenses owned by the photographer; without an eye for creative, style and candidness, the photographer will not be able to translate beautiful wedding moments into beautiful timeless pictures. With that said, Wedding Photographer Stamford stressed on this importance and featured a list of Award Winning Photographer in Malaysia. We are indeed delighted and honoured to be featured as one of the 10 photographers in the Award Winning Photographer in Malaysia. Our principal photographer, Vernon Kong was notably mentioned along with a few of his signature masterpieces which have gained him awards on a local and international level. It is beyond amazing to be mentioned and recognized alongside some of the best photographers in the nation. This serves as a great motivation and encouragement for us as a team to produce even more incredible artwork to better serve our clients moving forward! Click here to check out our Awards and Achievements & other Features.